Power consumption: 4 Kw / Hr. Seal Area: 15" X 10"
of a CONVEYORISED L SEALER. 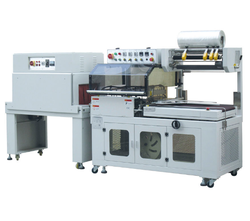 The product gets automatically transferred after the film wrapping cycle is completed. - Sealing Dimension: 15" x 20"
We are offering L Sealer With Shrink Tunnel Machine to our clients. We are offering L sealers of various types. 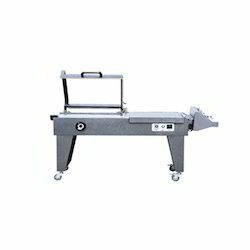 this Lsealer model - L Sealers Model LS 1520 is one of the fine model of our company. This L sealer having low maintenance cost. - Power supply : 230V, Single phase, 1.25Kw. - Specially designed Trouble free SEALING ARM LIFTER. Power supply: "1PH, 110V, 220V 50/60Hz"